Low, smooth, comfortable and infinitely stylish, the Panama Aluminum Outdoor Chair will make an impact, regardless of where you put it. 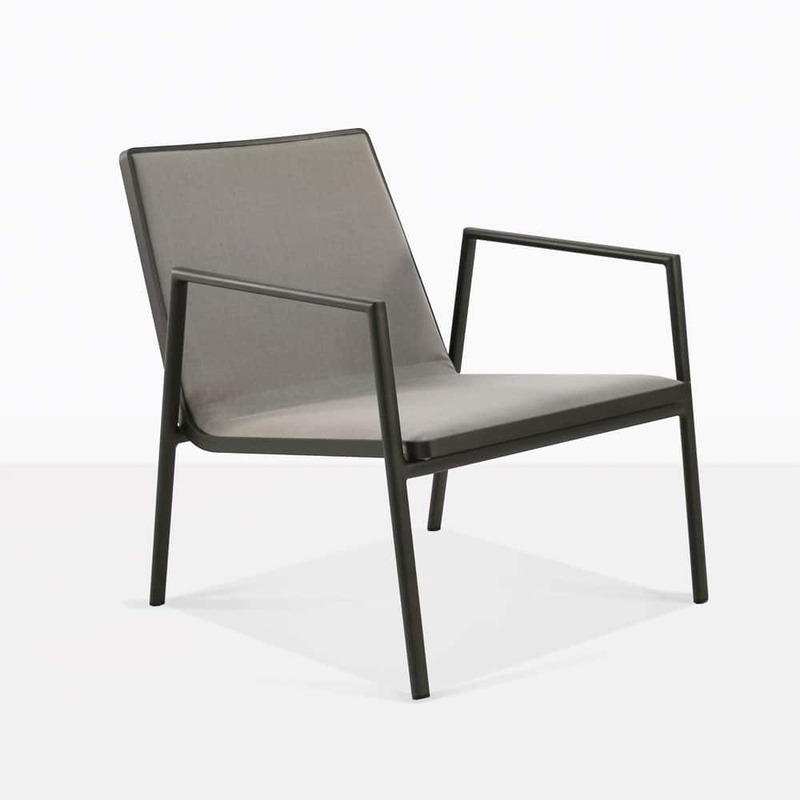 Part of our Panama series, the Panama Aluminum Outdoor Chair features slim, angular lines and the perfect mix of Sunbrella® cushioning and powder-coated aluminum, this is a modern style that is effortless and chic. Powder-coated aluminum is a trusted material for outdoor use. Protected by the coating – this hardy fabric looks incredible! 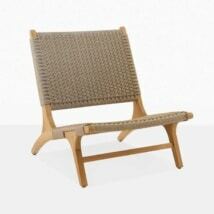 It is stylish enough to be an indoor item as well as lasting beautifully outdoors. 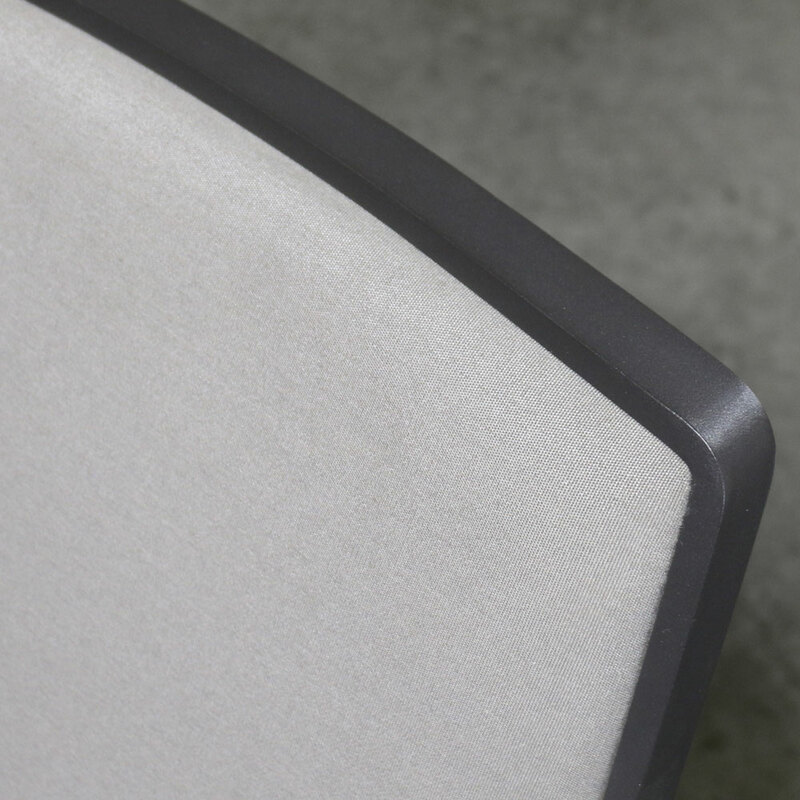 W26" x D32" x H29"
Sunbrella® fabric makes up most of the Panama Aluminum Outdoor Chair, showcasing its terrific tight weave in a simple taupe color. Sunbrella® is recognized world-wide as being an extremely durable, won’t fade or morph in the sun, and is utterly comfortable to sit on! And don’t forget how attractive it is! 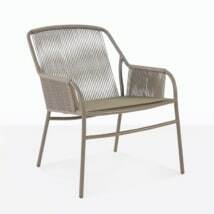 Teak Warehouse specializes in furniture for the outdoors – which is why Sunbrella® is at the forefront, in all our deep seating collections, on some of our wicker dining chairs and, of course, in the Panama Aluminum Outdoor Chair! 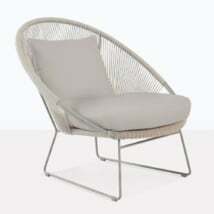 Our showroom now features around 700 products, all beautiful pieces of furniture for outdoors. Choose from materials such as A-Grade Teak, Raw Concrete, Resin, Reclaimed Teak, #316 Stainless Steel and All Weather Wicker. Teak Warehouse has everything from divine relaxing chairs, as you see here, to dining tables and chairs, deep seating, pool side equipment, bar furniture, umbrellas, planters, and much, much more! We are proud to supply the entire country with incredible luxury pieces at wholesale prices! Simply call us for a quote! We can work out shipping swiftly and are happy to help you discover the best pieces to suit your space! 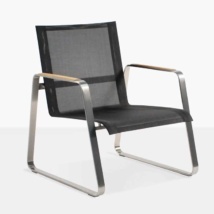 The slim lines, super lightweight, and comfortable seating surface of the Panama Aluminum Outdoor Chair proves that style and comfort can coexist in a harmonious representation of class and performance. Buy 4-6 for your patio garden, place them around a low square Concrete Coffee Table for a resplendent, contemporary casual dining area. Perhaps you have a low Loveseat or Sofa that needs some additional chairs? 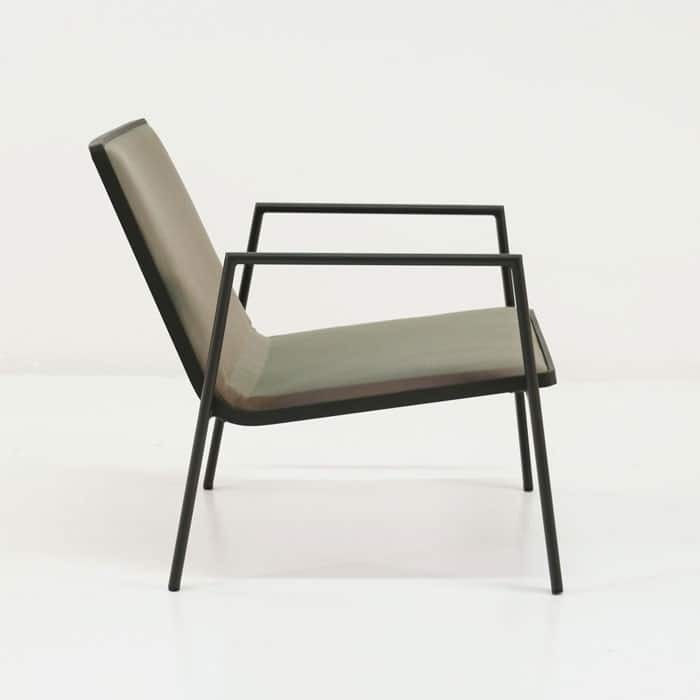 Mix materials and make it modern with a couple of the Panama Aluminum Outdoor Chairs and soon you’ll be making the absolute most of your space. Perhaps your indoor area is begging for some fabulous new furniture, something to really make an impact while still being extremely comfortable? Put several Panama Aluminum Outdoor Chairs around your fireplace or in the TV room for a delightfully more glamorous stamp on your space! 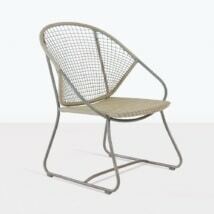 The Panama Aluminum Outdoor Chair comes from the Panama Collection, which also features a gorgeous Dining Arm Chair. Tie the look into your space by looking at one of Reclaimed Teak Sofas and a Dining Table with two or three Panama Aluminum Outdoor Chairs and matching Panama Dining Chairs. Voila! You’ve created a perfectly modern outdoor living area! 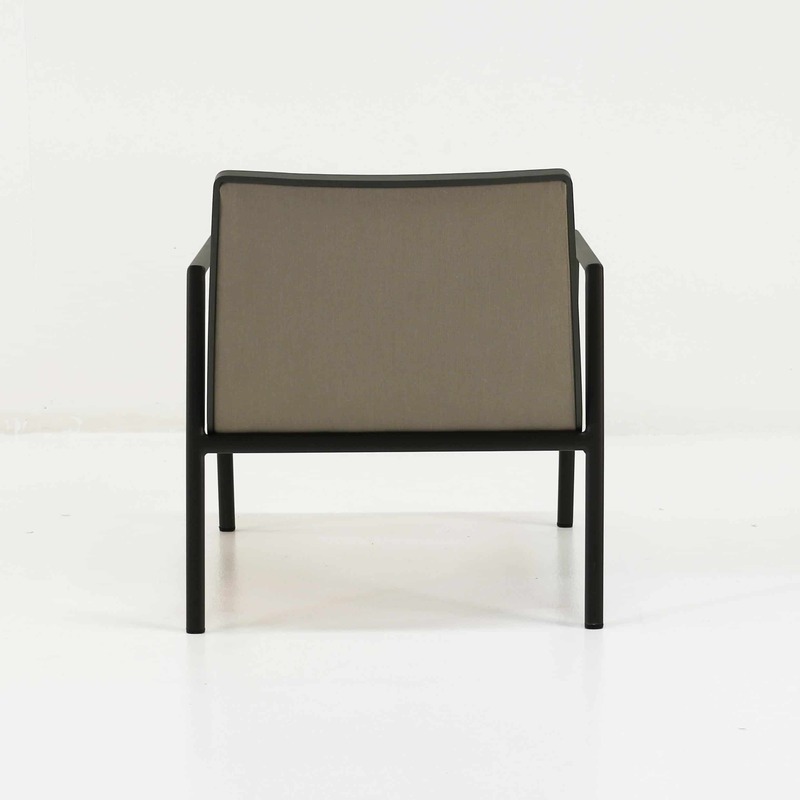 This Panama Aluminum Outdoor Chair features a powder-coated aluminum frame and gorgeous fabric seating surfaces, purchase modern glamour today! Enjoy the splendor of something fabulous just for you!